Volkswagen lowered its sales forecast as demand weakens in China, where the group’s largest division delivers more than 40 per cent of its vehicles, outweighing gains in Europe. The German group yesterday scaled back its expectations, predicting full-year sales to be flat on last year’s record 10.1 million cars, having previously forecast a ‘moderate’ increase. “The difficult market environment and fierce competition is posing challenges,” finance chief Hans Dieter Poetsch said. 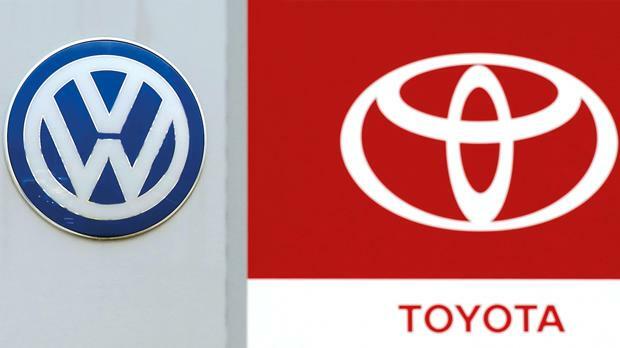 The lowered sales forecast coincides with VW achieving its long-held ambition of becoming the world’s largest carmaker by sales after eclipsing Toyota. But meeting the target three years early comes at a time when the twelve-brand group is looking for a new chairman and has shelved decisions on a new company structure until this autumn. “Dependence on China reinforces the need to tackle underperformance in other markets,” said Stefan Bratzel, head of the Center of Automotive Management think-tank near Cologne. Shares in Wolfsburg-based VW were down 2.5 per cent at €185.95 by 1101 GMT, while Germany’s DAX index was up 0.2 per cent. The Stoxx Europe 600 automotive index was down 0.8 per cent. But improving demand in the higher-margin western European market and cost cuts helped VW raise group operating profit to €3.49 billion which does not include earnings from Chinese joint ventures, VW said, matching average estimates in a Reuters poll. VW results mirror upbeat earnings at rivals. French peer PSA Peugeot Citroen swung back to a first-half profit after three years of losses, benefiting from cost cuts after Germany’s Daimler last week posted record quarterly earnings. VW said plans to increase cost savings at the VW brand to €5 billion a year by 2017 are progressing and also pledged to continue to expand modular production. Car output based on VW’s new cost-cutting platform is expected to grow to seven million units by 2018 from about two million last year. Group operating profit is set to rise by 13 per cent next year to €15.4 billion from an estimated 13.6 billion in 2015, the Reuters poll showed. Separately, VW stuck to its guidance for an operating margin range of 5.5 to 6.5 per cent this year, after 6.3 per cent in 2014, and still expects annual revenue to rise as much as four per cent from €202.5 billion.